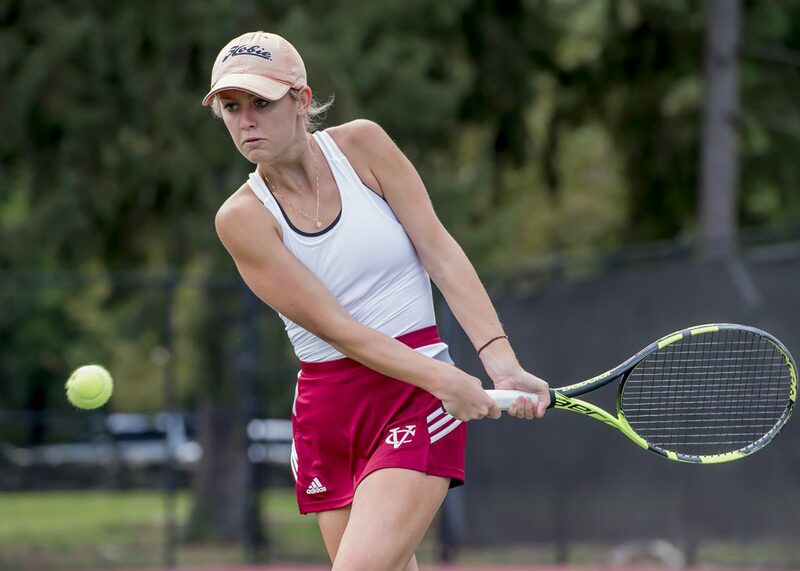 The women’s tennis team is riding the wave of a dominant five-game winning streak in which they’ve dropped only eight combined matches across singles and doubles play. Ranked number 38 in the nation, the Brewers want to keep it in high gear and shoot even higher up the rankings. This past weekend, the Brewers traveled up to RPI in Troy, NY for their third straight Liberty League contest, having won the prior against Ithaca and William Smith 9-0 and 7-2 respectively. After seven straight away contests, the Brewers finally were able to host an opponent in Poughkeepsie. 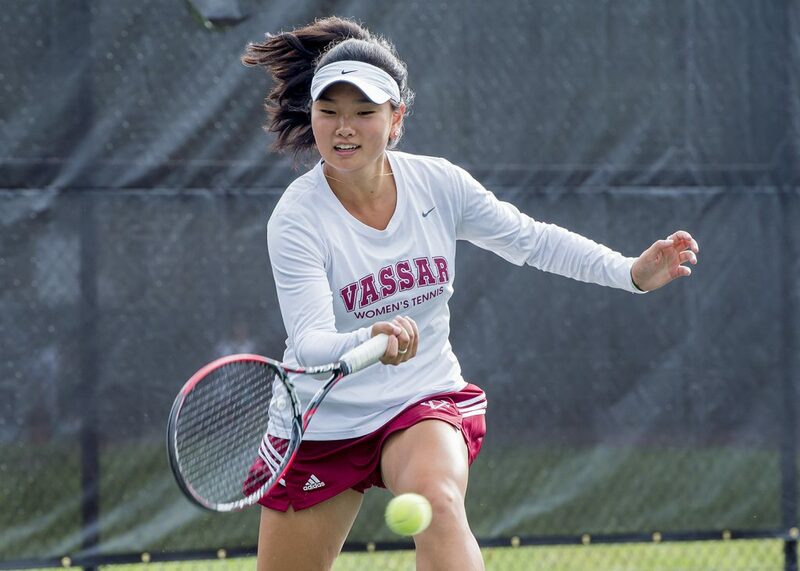 Vassar started off the match strong, posting victories at all six singles positions in straight sets. Sophomore Frances Cornwall, playing at No. 1, had a strong 6-2, 6-3 win. Sarra Yekta, another sophomore, picked up a 6-4, 6-1 win at the No. 2 spot, and junior captain Tara Edwards got the win at No. 3 by a score of 6-4, 6-1. First-year Melina Stavropoulos put together a dominant performance at No. 4 singles, winning 6-1, 6-0, and senior Morgane Flournoy and sophomore Meghan Rodick won at No. 5 and No. 6 singles positions as well. In doubles play, Cornwall and Edwards posted an 8-0 sweep at the No. 1 position, and Flournoy and junior Ashley Fair won a tight 8-7 match at the No. 3 spot. The only matchup in which RPI bested Vassar was No. 2 doubles, where Yekta and Stavropoulos fell 8-2. With such a dominant win against RPI, it is no surprise that the team has been feeling confident these past few weeks. In an email, Head Coach Kathy Campbell said this positivity started picking up during the team’s spring break trip out in California. There, the team matched up against some tough opponents, specifically nationally ranked Chapman, against whom the Brewers pulled out a 5-4 win. “As a group we executed a lot of things we had been focusing on, played with composure and played well under pressure,” Campbell noted. Campbell explained that the team has been working on managing their mistakes, staying composed, being encouraging of one another and taking advantage of opportunities to attack and put away well-placed shots during matches. The Brewers have tough matches coming up, with the most difficult duel of the season coming in two weeks against Skidmore, who is currently ranked third in the country. With three Liberty League matches left in the regular season, Coach Campbell showed her appreciation for the effort that the team has put in thus far. “This team continues to work hard to expand their games and it is paying dividends,” Campbell said.